C2C 2015 follows the acclaimed success of Country to Country 2013 and 2014 and will take place at The O2, London and 3Arena, Dublin on Saturday 7 & Sunday 8 March 2015. C2C will also, for the first time, be taking place at the Ericsson Globe, Stockholm and Oslo Spektrum Arena on Saturday 28 February and Sunday 1 March. 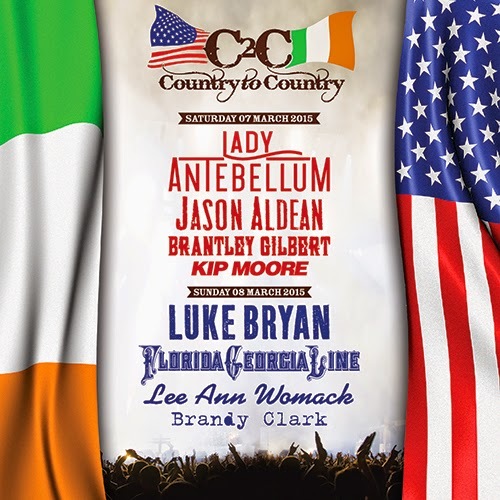 C2C 2015 will also feature Florida Georgia Line, Jason Aldean, Lee Ann Womack, Brantley Gilbert, Brandy Clark (London and Dublin only) and Kip Moore. The YeeHaw UK Country Music Festival takes place between 5th & 6th September 2014 at Corby Rockingham Castle. 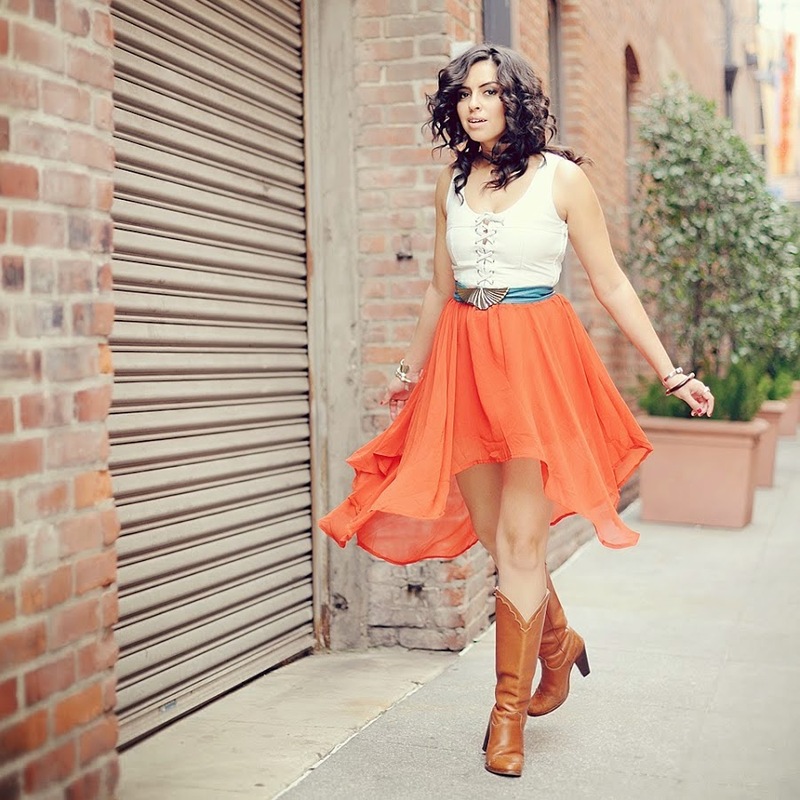 Performing at this year's event is California Country Girl Riahanna Estrada (www.riahannaestrada.com) who describes herself as a Singer-Songwriter, Tea Drinker, Crazy Cat Lady and Travelling tumbleweed, with Nashville on her mind. We are delighted to playlist tracks from her new self titled E.P. We here at Total Country really like "Left With Nothin'" and we are featuring that song this week. Stay tuned and enjoy the sounds of this promising artist. IT’S CONFIRMED! COMING TO A CONCERT VENUE NEAR YOU!!! Iconic singer, songwriter, musician, actress and philanthropist DOLLY PARTON announces the ‘Blue Smoke World Tour’ will travel across the pond in 2014 for June and July concerts in Europe making a welcome return to Ireland to play shows in Dublin. Dolly’s latest studio album of all new material “Blue Smoke” will be released worldwide on Dolly Records with a release date to be announced soon. In 2011, Dolly continued to receive accolades for what was her most successful European and Australian tour of her 45-plus year career—The Better Day World Tour! During the 2011 tour, Dolly performed for record-breaking attendances in both Europe and Australia, surpassing her previous attendance records. In 2008, Dolly performed 17 European shows to over 170,000 fans, surpassing her then-best 2007 European tour, where she played 21 shows for over 140,000 people. Each of these treks grossed in the tens of millions of dollars and established Dolly as Europe’s favorite and most successful country artist. 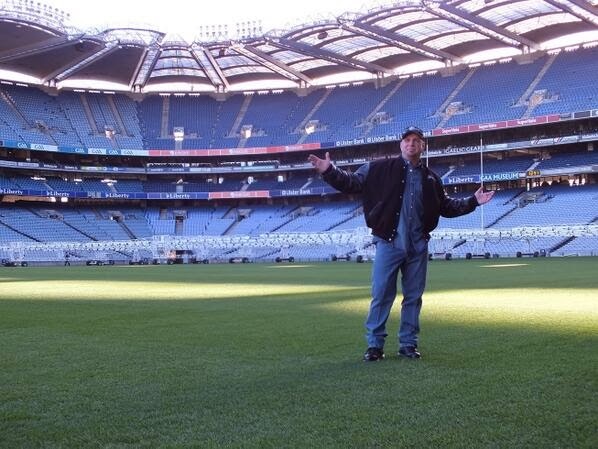 Garth Brooks has announced his intention to play two gigs in Dublin's Croke Park this summer as a prelude to his Come Back Tour. Billed as a come back special event, the two concerts will take place on 25th & 26th July, 2014. 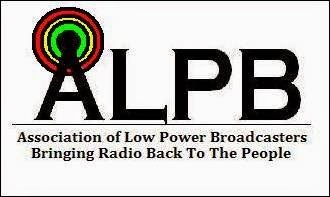 Delighted to announce that we are currently testing out our new FM frequency of 92.6FM. This will supplement our transmissions on 1593AM and online.